Many organizations use Microsoft SQL Server Reporting Services to deliver reports and all kinds of information across their enterprise. MSSRS supports highly complex reports and enables companies to keep all their parts on the right track. 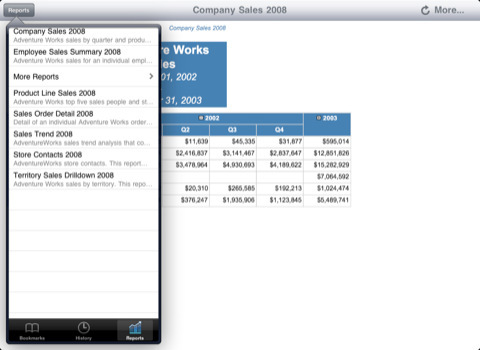 Thanks to Sketch Reports Pro, business users can view their MS SQL reports on their iPad. Sketch Reports Pro not only displays all your reports, it helps you navigate through the whole lot of them easily. 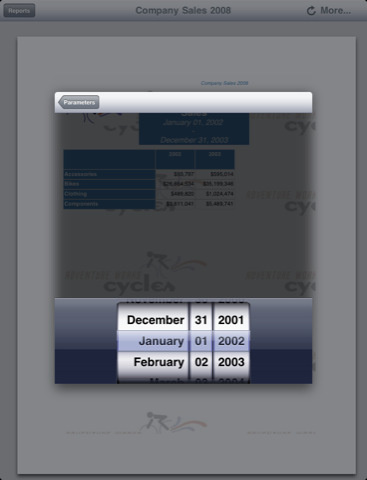 Downloading and viewing reports on your iPad does not take a lot of effort. SSRS 2005 and 2008 are both supported. The support for Parameters is pretty helpful. All in all, if you use Microsoft reporting services across your organization and want to make your iPad SSRS report friendly, Sketch Reports Pro has you covered.